Pharma PCD Franchise for Analgesic Medicines – Pain killers have a vast demand for PCD franchise PAN India. An ISO-GMP certified pharmaceutical company, Penardo Biotech is the leading pharma company that is well known for providing its quality products and services in the pharma market. The company is famous for providing opportunities for Pharma PCD Franchise for Analgesic Medicines with exclusive rights of distribution. We provide a wide range of Analgesics that include paracetamol, the nonsteroidal anti-inflammatory drugs (NSAIDs), and opioid drugs, the combinations form, etc. All these medicines are available in the form of oral, topicals, intravenous and transdermal, etc. An analgesic or painkiller used to achieve relief from pain. And the market is expected to grow because of factors such as an increase in cancer, and arthritis, cardiovascular disease, and growing geriatric population. So, a good profit can be assumed by investing money in the business of Pharma PCD Franchise for Analgesic Medicines. Penardo Biotech is efficient with the globally certified large-scale manufacturing units, latest technological machinery and professional staff for the formulation of innovative, effective and safe drug solutions. We offer marketing support and promotional backups to our associates for better business experience. The company is searching for the hardworking and dedicated professionals for the pharma franchise business in order to provide quality services to the general masses. It is our assurance that you will completely enjoy our business opportunity with better scope coming for you. Call us at +91-9855087879 to know more about our manufacturing services or you can mail us at penardobiotech@gmail.com. Why Choose Analgesic Medicines for PCD Pharma Franchise? Analgesics are the medicines that are generally used as the painkillers. The global Analgesics Market is expected to garner $26.4 billion by 2022 by registering a CAGR of 7.1% during the forecast period 2015-2022. The analgesics market is expected to achieve moderate growth in the near future, majorly because of factors such as an increase in cardiovascular disease, cancer, and arthritis and growing geriatric population. Recurring pain and aches experienced by the aging population is another factor the helps the market growth. So, the investment in this sector can definitely bring you a prosperous future. Pharma Franchise business is the most dominant venture that has a high rate of economic growth. This business can be started with very genuine investment and high rate of profits. The pharma companies cover the market risk. So, one can easily become an independent entrepreneur by investing in this sector. 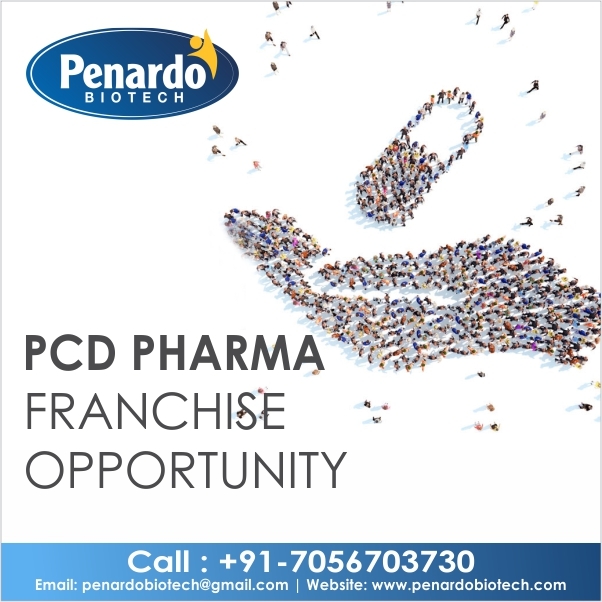 Penardo Biotech is the trusted name in providing a wide range of analgesics for the pharma franchise business. The medicines are available in the form of Tablets, capsules, Soft gels, Topical Solutions, Ointment, Cream, Injectables, etc. Your experience and determination in the PCD Pharma Franchise Business can definitely bring you success in personal and professional life. We, at Penardo Biotech, provide you with strategic marketing support for the better business experience. We provide you with a wide range of products for the pharma franchise business. What Makes Pain Killer Medicines A Good Pharma Franchise Option? Good volume of Usage in general, hospitals and clinics. Our company assures you to provide the widest list and better-quality drug solution. The drugs are stored in the spacious and germ-free zone after the manufacturing process. There is an emphasis on the quality packaging along with the quality manufacturing to sustain the durability and effectiveness of these drugs. All our products pass through the quality test and then prepared for the shipping. We are associated with 1000s of associates that help us to provide quick services throughout the nation. Contact us for more information about pharma franchise opportunity in your region.